Yarn: Red Heart Eco-Ways. 1 skein. Had a bit of a false start with this hat. Used US5 instead of 5mm but luckily only went a few rows past the rib before realizing. I freakin’ LOVE IT. 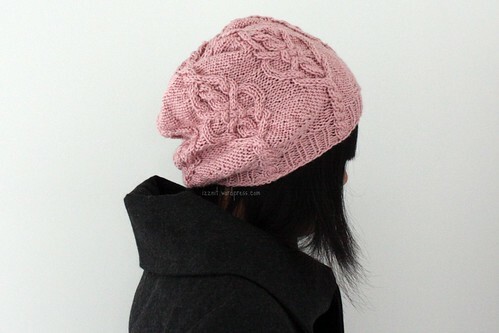 Usually slouchie hats don’t do too well on my head but not this one! The pattern was really well written (and charted). A beret version (less slouchie) version is available too! I’d definitely make another one. 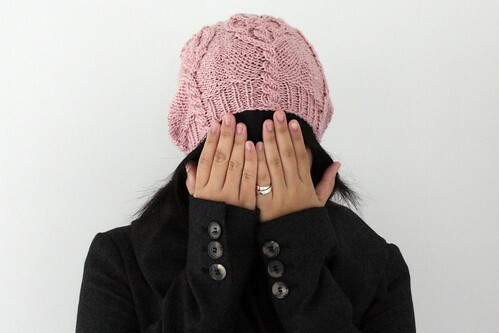 After my last cowl and this hat I think I’m starting to like cables. They’re not as complicated as they look and at least seem impressive. I was able to do the whole hat with one skein but I only have about 3 yards left. And is it slouchie? Or slouchy? The first looks weird to me but I’ve seen it both ways…I’m just going with the original name. This hat looks so good on you. Love the color. 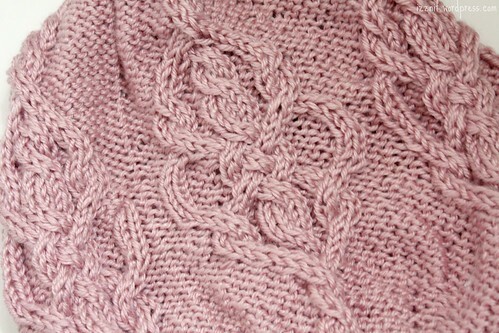 I knitted many years ago use to love doing cables, however I never tackled anything so advanced as these cables. Its gorgeous.